A German official rebuked a major liberal daily for a Nazi-like cartoon. That was not an isolated case. After yet another anti-Semitic cartoon was published in the Süddeutsche Zeitung (SZ), most media mistakenly treated the following developments as an isolated case. This German ‘progressive’ liberal daily is one of the most read papers in Germany. The SZ is considered, together with the Frankfurter Algemeine Zeitung and Die Welt as one of three nationwide quality papers. On May 15 the SZ published a cartoon by 85 year old Dieter Hanitzsch. He depicted Israeli Prime Minister, Benjamin Netanyahu as Israeli Eurovision winner, Netta Barzilay, celebrating the victory while holding a missile with a star of David on it. Hanitzsch drew the Israeli leader with an oversized nose, ears and lips, classic anti-Semitic stereotypes. There were many negative reactions. A few days later the SZ’s editor in chief Ernst Krach wrote that the cartoon had led to discussions both inside and outside the paper. He stated that the caricaturist claimed that he had only wanted to draw attention to the fact that the 2019 Eurovision contest will be taking place in Jerusalem. Krach added that one could however also understand the drawing differently and consider it anti-Semitic. The SZ apologized saying it was a mistake to have published it. After such a statement the controversy would usually have been closed. Yet the recently appointed German Anti-Semitism Commissioner, Felix Klein, also reacted. He stated that the “caricature created associations with the intolerable drawings of national-socialist propaganda. Even when caricatures are satirical and should provoke, this one had crossed a red line.” Since then the German Press Council has launched an inquiry into the cartoon. Klein’s statement meant that a government official was accusing the mainstream SZ of publishing Nazi-like material. The paper then fired Hanitzsch who had been with them for decades. The cartoonist had in the past been awarded the Federal Cross of Merit. Hanitzsch reacted with a lengthy explanation about why his cartoon was not anti-Semitic. He also mentioned that he had received reactions which said that his cartoon fitted in very well with the extreme publications of the Nazi Julius Streicher who was condemned to death at the Nuremberg trials and hanged. It is for psychologists to assess how much the cartoonist was influenced by the thoughts of the Nazi period which he lived through at school age. The anti-Israeli hate-mongering record of the SZ is far more important than this single case. n fact, the daily’s incitement has a lengthy history. In 2013, the SZ published a caricature from Ernst Kahl of a monster with two horns which was on the verge of eating. The accompanying caption said: "Germany serves. For decades Israel is served, partly without payment, with weapons." In 2014, yet another anti-Semitic cartoon appeared in the SZ. Burkhard Mohr drew Jewish Facebook entrepreneur, Mark Zuckerberg as an octopus reaching with its tentacles to control social media. The cartoonist depicted Zuckerberg with a long nose and thick lips, once again typical anti-Semitic stereotypes. The Simon Wiesenthal Center reacted by stating that the cartoon proved that the artist was anti-Semitic. The cartoonist denied that his drawing was anti-Semitic and apologized. Belgian scholar, Joel Kotek, the leading expert on anti-Semitic cartoons, has observed that Arab cartoonists often depict Jews as malevolent creatures such as spiders, vampires or octopi and that Arab hate motifs sometimes filter into Western society. All this however, pales compared to an extremely vile anti-Israeli hate poem the SZ published in 2012. In this poem the German Nobel Prize Literature winner, Günther Grass, claimed that Israel is aiming to commit genocide against the Iranian people with nuclear bombs. The leftist poet, who in his youth was a member of the WaffenSS, must have known -- like the SZ editors -- that the Iranian leaders had threatened Israel with genocide. Yet he suggested the reverse. The poem became a symbol of major European progressive anti-Israeli perversity. It was also published by five other European mainstream liberal papers: the Italian La Repubblica, the British Guardian, the Spanish El Pais, the Danish Politiken, and the Norwegian Aftenposten. The assumption that Germany could rid itself of anti-Semitism in less than 75 years after committing a genocide of such impact is an illusion. Right wing anti-Semitism has been exposed in the German media for many years. 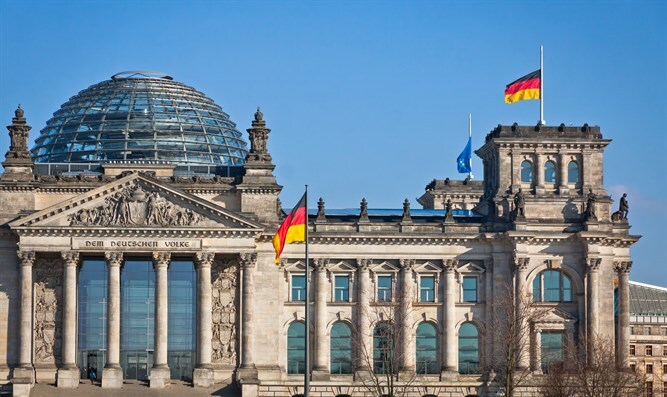 Since December 2017, after the burning of a homemade Israeli flag in Berlin by German Muslims, Muslim anti-Semitism is also regularly condemned by leading German politicians. In this case, however, a rare reaction occurred. An example of the widespread progressive anti-Semitism in the German mainstream was actually condemned by a government official. This is all the more important because the SZ is a standard bearer of left-liberalism in Germany. One should hope that the commissioner’s rebuke of the SZ is the beginning of a more systematic exposure of left-liberal anti-Israel hate mongering. There are several other papers who compete in this area with the SZ. 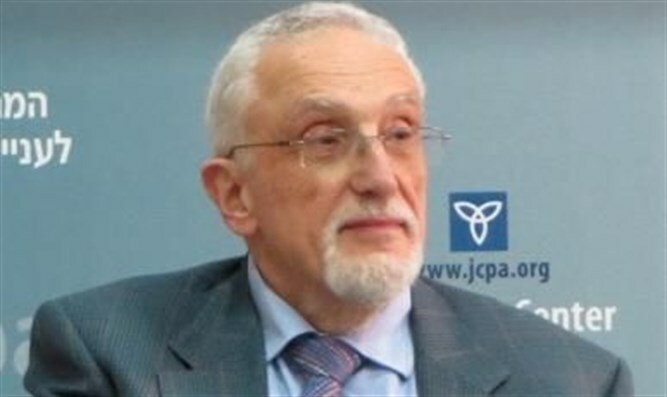 In 2012, the Simon Wiesenthal Center listed the journalist, Jakob Augstein, as one of the year’s ten leading perpetrators of anti-Semitism in the world. The assumption that Germany could rid itself of anti-Semitism in less than 75 years after committing a genocide of such impact is an illusion. The effects keep manifesting themselves in many ways and in many sectors of German society, including the left-liberal segment.